Safari’s out in Africa are my favourite! I am a total bush baby and would quite easily trade a tropical paradise getaway for some bush time! 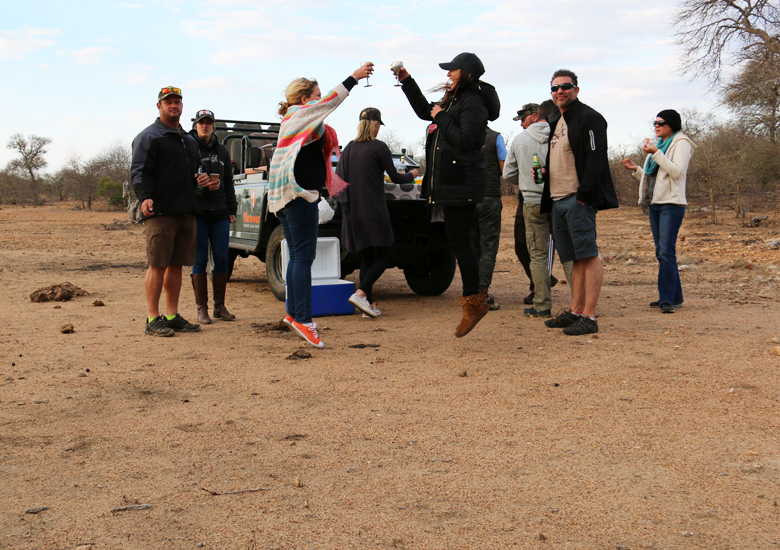 Having gone on a few epic Safari’s, I’ve learnt a lot that has helped me “get ready” for the next one! -October I’m counting down the days-. Every time I travel, I always write a list of things to remember! Things like “bring extra mozzi spray – you will need it” and “don’t forget to pack a pair of boots next time” help when I’m packing or planning my next trip. In this case, my next safari! 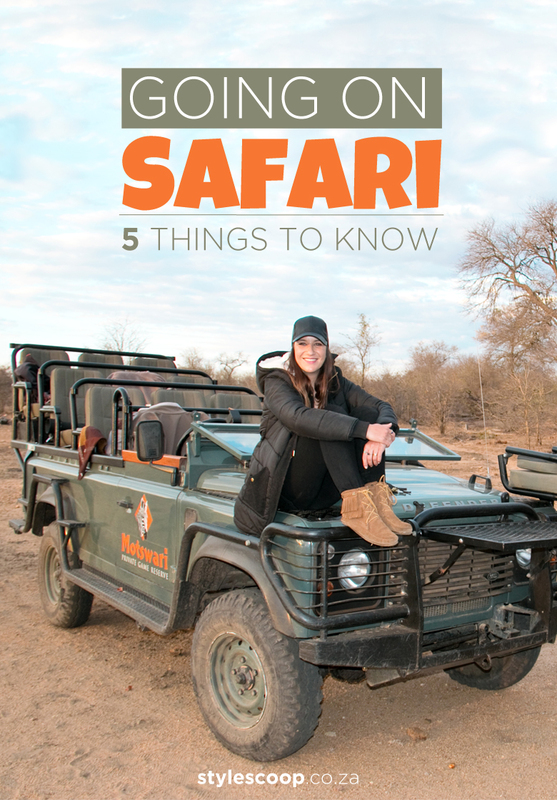 Since I’m really missing the bush today, and surprisingly, I get a lot of Google search traffic on my post “5 Essential Girly Items You Need on a Game Drive“, I thought I’d compile a little list of 5 things that I’ve learnt from going on Safari. I’m also sharing some of my pics from last year. There is one that is kinda graphic, so be prepared! I am (and we as South African’s are) privileged to call the bush home. 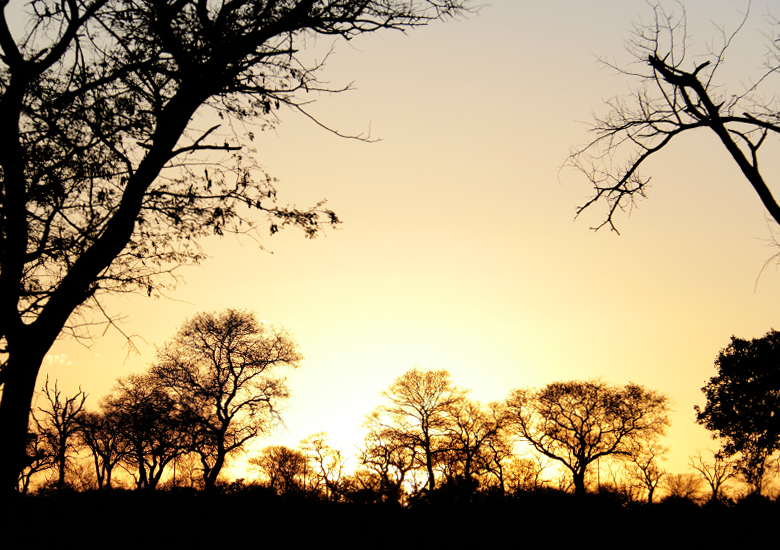 Whether you’ve been before, you’re a regular bush baby or you (perhaps you’re a traveller to SA) have it on your bucket list, these 5 tips might help. Safari clothing should above all, be comfortable -since you’re getting in and out of the Landy/going on guided bush walks etc- but the thing many people forget, is to pack for all seasons! Temperatures in the bush can go from minus-something to 40 degrees+ in a single day, so it’s important to pack properly. There’s no “popping out to the shop” when you’re miles away from “civilisation”. So yeah, this really is one trip, where the more you pack the better! Still, I’ve learnt to pack rather light because I know what I’m in for. 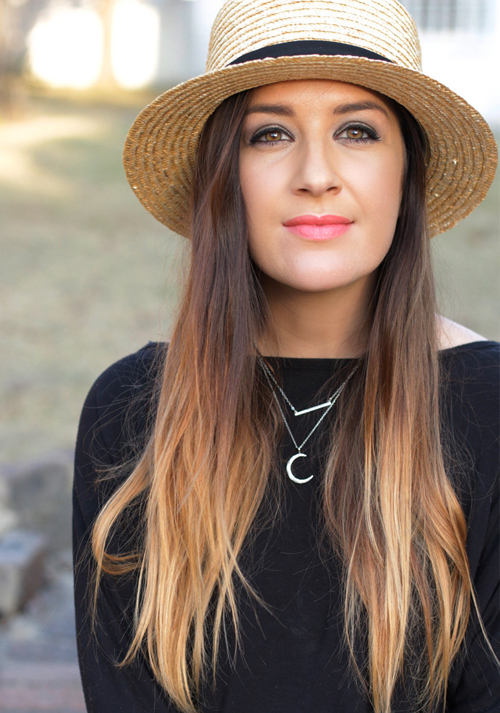 I usually bring a couple of t-shirts, a long sleeved jumper, a couple pairs of jeans (depending on how long we’re staying), a swimsuit, a pair of shorts, leggings and then essentials like flat ankle boots (I love my Minnetonka ones), a really warm jacket, gloves, beanies, scarves, a cap and a hat. The trick is to dress in layers, so that you can stay warm and peel off bits of clothing as the temperature gets too hot to handle. 2. Listen to your ranger! Although this should be number 1 on the list, I’m a girl, so the clothing thing kind of takes first place – hah! Whether it’s your first time going into the bush or you consider yourself a well experienced bush baby, always listen to your ranger! He/ She is more than just the person who chauffeurs your safari adventure! They live among the wildlife and call those wild cats walking around, their neighbours. So they know when something is safe and when it is not! Just like you know your own pets behaviours; for instance I know my dogs don’t like bicycles swooshing past, therefore I would never mindlessly open the gate when there’s one riding past. I’m aware of when my pets are feeling threatened, uncomfortable or when they have that naughty spark in thier eye! The way we know our own pets and our neighbours for that matter, is the same way Rangers know the wildlife in their territory. If they say no, it’s not a challenge to start an argument with you, it really means no! 3. When an elephant flaps her ears, run! Or in our case, reverse the Landy flat out and hope for the best. One of the rules you’ll hear game rangers telling you over and over again, is that you should never run! I don’t know about you, but if a mega ton herd of Elephants come charging straight at me, there is no way I’m going to stand still and hope for the best! Once we were out in the bush admiring a herd of beautiful elephants knocking down trees and munching away. Then, suddenly a naughty little bugger of a calf separated itself from it’s mama, leaving us in the middle. 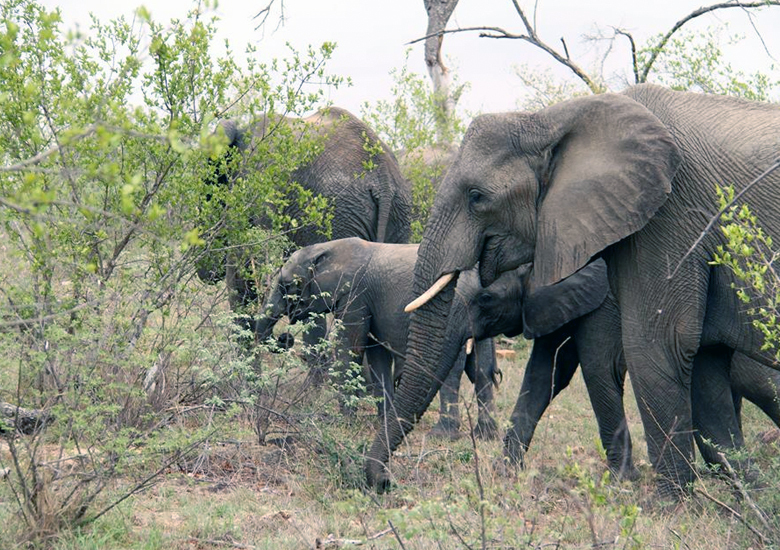 There was trumpeting and mama went from pretty elephant to beast, ears flapping aggressively as she started charging! She obviously saw us as a threat, but thankfully our ranger picked up on what happened chop-chop and got us the heck out of there. I’ve never driven so fast in reverse in my all life! I didn’t even know reverse could go that fast! But ya! The lesson I took home was (a) never seperate a mama elephant from her calf and (b) when she starts flapping her ears, she ain’t saying hello! MOVE! 4. Be on the lookout, at all times! 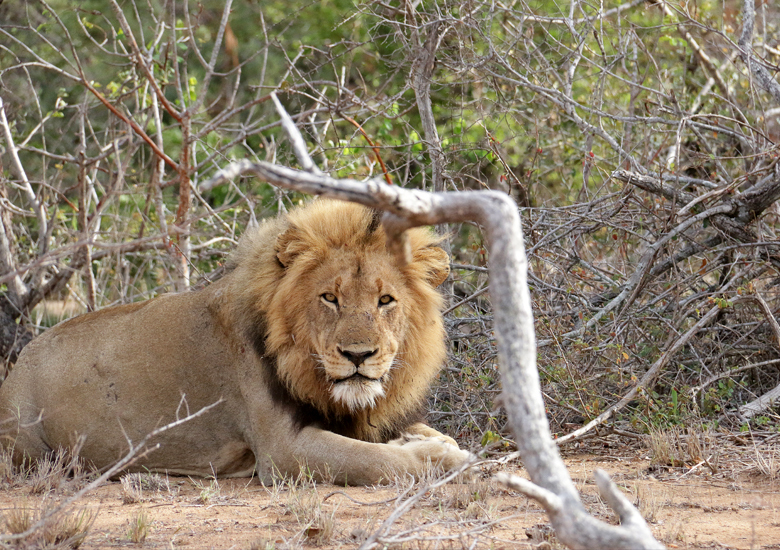 While driving through the bush, it’s amazing how you can go from complete “nothingness” to spotting an amazing sighting of lions as if they had magically appeared before your eyes! Wild animals are camouflaged to look like their surroundings, and believe you me, it’s very easy to mistake that wild mane for “just another bush” or visa versa! It’s actually quite scary when you’re merrily sipping on your Savanna Lite and then BOOM, LIONS! Spotting the wildlife isn’t always easy since they are masters of camouflage! Look up, look in between the bushes, branches and trees. Look down, spot the droppings, tracks and other signs that wildlife is near! This is another reason to adhere to my second (should be first) point. Listen to your ranger! If you treat him/ her with respect, they will likely want to show you how amazing they are at tracking, and find the best sightings for you. Still, keep your eyes open – wildlife is all around you! Sure those sweet leopards look just like your cute kitty “Fluffy” back home, but know that, wild animals are, well, for lack of a better word, WILD! As cuddly as they may look, they can rip you to shreds in seconds! 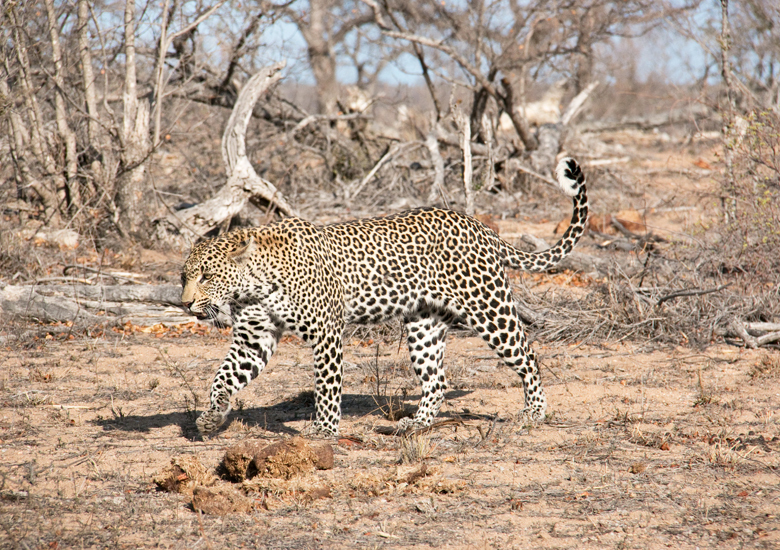 That applies not only to leopards, but pretty much every wild creature that lurks. 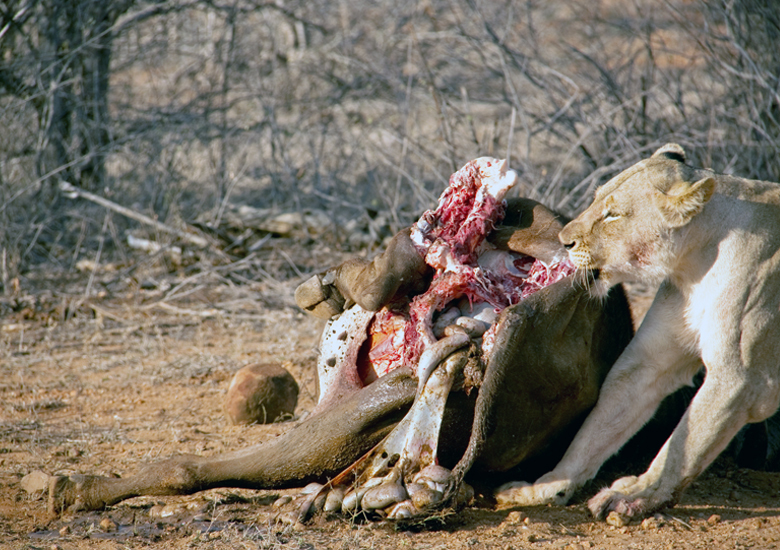 Even the wild cats, that look just like Fluffy are killers – no Joke! I remember a while back there was a really dangerous croc swimming around, and this silly human being, completely disrespecting the wild, argued with the ranger to let him out of the Landy so that he could “get a better photo”. If your ranger has told you to say in the Landy, don’t get clever. The photo is not worth your life! And if you still want to get out and be brave, consider yourself fair game! Rangers usually carry shotguns with them in the event that a wild animal threatens their guests. But honestly, if you’re an idiot, you deserve to get chowed. Why should the animal’s life be taken for your stupidity? I can never agree with that! You’re in the animals territory, be respectful of that! I hope you’ve enjoyed these 5 tips, be sure to leave your 2c in the comments section below.